If you're looking for some beautiful freebies to help you out in creating some lovely Valentine's Day layouts, decor or treats, the web is a wonderful place to find a few heart-filled freebies perfect for the holiday of love! This free digital patterned paper collection by Jeri Huish is just darling and available through the Scrapbook Trends blog. 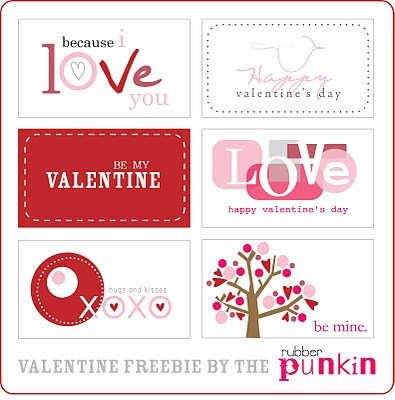 The Rubber Punkin has these sweet little Valentine's tags to offer. 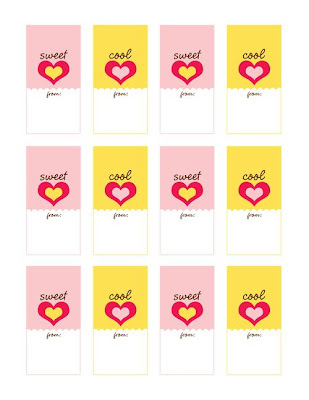 I'm going to be using these lollipop labels by Aly Dosdall to create some super-simple treats for our student workers this Valentine's Day! 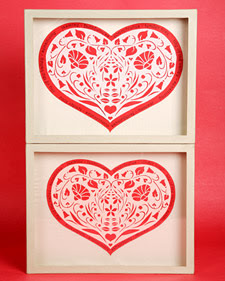 Martha Stewart offers this hand-cut heart pattern that would make some simply stunning wall art for your home or to use as an embellishment on a crafting project. 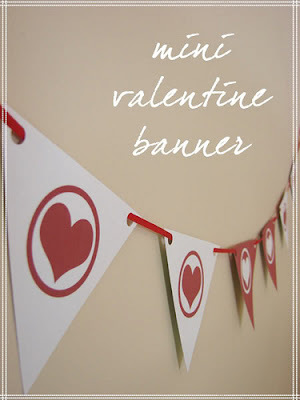 How about a heart banner to decorate your child's room on Valentine's Day? Download the design and follow the directions offered on the Kind Over Matter blog. 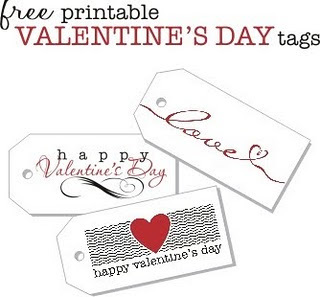 Here's a few more lovely tags from Winks & Daisies. And one more simple, yet elegant, Valentine's Day treat. 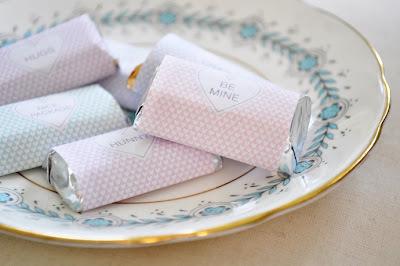 Cover some mini chocolate bars with these darling little wrappers from Nice Package. Have you found any other sweet freebies in your online meanderings lately? Please share a little link love in the comments below!